Foot soaking can help different conditions. Be sure to check with your podiatrist to make sure these soaks are right for you. Soak your foot in warm water with Epsom salt (follow the instructions included with the salt). 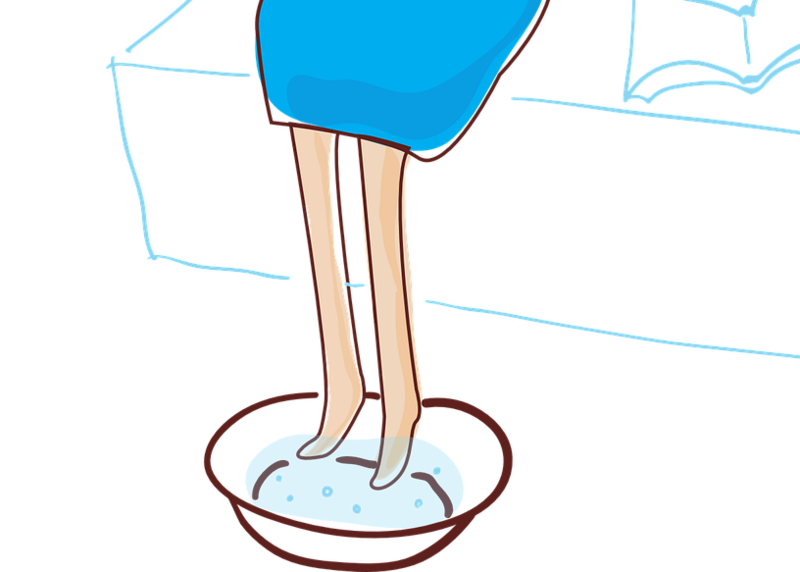 Dry your foot and between all toes thoroughly after each soak. Apply a small amount of antibiotic cream to the wound. Cover the sore toe or area with a one-inch Band-Aid. Repeat these steps twice a day, in the morning and in the evening. Soak your feet five to ten minutes once a day. Scrub warts with a Pumice Stone while bathing. Dry your feet thoroughly after each soak, being sure to get between all toes. Use topical liquid acid on small warts (i.e. Duofilm® or Compound W®). Use Mediplast® on larger warts one to two times a day.